WUSF 89.7 is the public radio station for west central Florida, with listeners and members located as far north as Crystal River, to the south in Port Charlotte and eastward to Osceola County. The station is located on the campus of the University of South Florida in Tampa. 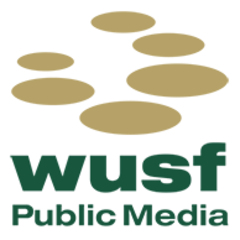 WUSF 89.7 is a valuable community resource that serves the public interest through programming, educational outreach and partnerships with individuals, foundations, corporations, community organizations and the University of South Florida to make programming and services available to all listeners. On February 13, 2003, WUSF 89.7 became the first Public Radio station in the country to broadcast completely in digital. Florida’s citrus industry faces competition in its own backyard.